If you would like to become a TAGS volunteer or provide a foster home for a Greyhound please complete the appropriate application found below and return to TAGS. Thank you for helping the Greyhounds. Fill Out Online Foster Application! Download Foster Application to print and send to TAGS. Fostering experiences and other information. As a foster, you sacrifice a bit of your heart and your home to the Greyhounds. The dogs bond quickly. You may be the first person who has been kind to them. It is hard to give them up when they are adopted. But remember, “The gift is in the goodbye.” - fostering is a lesson in unselfish love. People who open their homes to a new Greyhound and provide training and socialization are the heart of TAGS’ foster program and are crucial to the adoption process. As a foster parent, you are a representative of TAGS. The focus is on Greyhounds as pets. Most of the dogs received into TAGS’ program come from the Greyhound racing industry. Your foster must be kept indoors as a house pet. Greyhounds do not have enough fur or body fat to shield them from extreme temperatures. They should be kept indoors in a temperature-controlled environment and taught to live in a home around people. Your foster grey’s personality will slowly develop and bloom. It takes several weeks for a Greyhound to begin to relax and allow his true personality to begin to show in a new environment. This is also when he may begin to show behaviors you will want to correct. Remember to always reward good behavior, excessively at first so he can figure out the relationship to the good behavior. As puppies and during their training and track life, Greyhounds became accustomed to being let out, fed and exercised on a specific schedule. Knowing this, you can understand why they love a schedule; they are familiar with a set schedule. They will conform to rules that you consistently enforce and in fact they will become more relaxed once they know these rules. Foster families are encouraged to attend TAGS functions with their foster greys. Foster families are asked to attend the Meet and Greet events. This is the number one place where information is passed along and is the source of new adoptions. 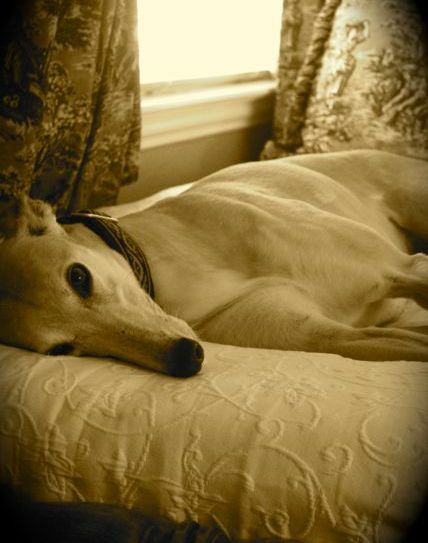 Foster families are key to giving descriptions of personal information about the foster Greyhound. Having your foster at TAGS events gives prospective families the opportunity to actually begin picturing themselves with their very own Greyhound. Supervise and socialize your foster dog with your own Greyhounds, dogs, cats, and children. Remember – your foster dog may have been a racing machine thus far in his life. Your mission is to show this dog how to relax and be a good family pet. Consider giving your unselfish love to a foster Greyhound. You will be well rewarded. Fill Out Online Volunteer Application! Download Volunteer Application to print and send to TAGS. TAGS is an all volunteer non-profit group. As such, volunteers are essential to TAGS’ success. Volunteering with TAGS is a rewarding experience, offering you the chance to help Greyhounds find their life-time homes. Volunteers are always welcome at TAGS. 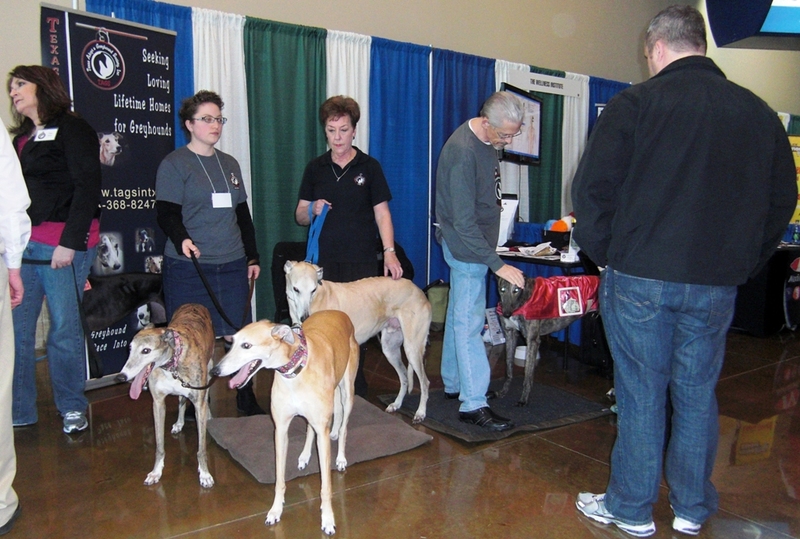 There are many volunteer opportunities with TAGS – participating at events with your dog, fostering a Greyhound, transporting Greyhounds, marketing, planning events, assisting with administrative duties, fundraising and many more. You each have skills and ideas that will be helpful to TAGS. TAGS encourages you to donate your time and efforts to further the mission of TAGS. The minimum age for volunteering is 13 years. Volunteers who are 13 to 16 must be accompanied at all times by a parent or legal guardian who is also a TAGS volunteer. All volunteers under 18 must have parental consent. If you would like to discuss these opportunities, please call or email TAGS. If you are ready to volunteer, you may complete and submit the Volunteer Application online or print the application, fill it out and mail it to TAGS. TAGS guarantees a Greyhound will race into your heart.